It’s Tuesday, which means it’s time for Tuesday’s game of the Day! 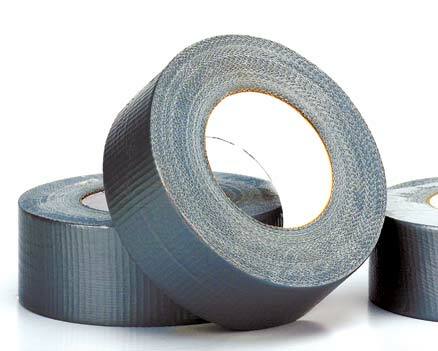 Today’s game involves one of man’s favorite tools, duct tape! Have teams choose one individual from their team (smaller usually works better) to be attached to a table using duct tape. Once they have selected a willing victim… I mean, participant, have them lay down on the table with their feet at least six inches from the bottom. At this point, the duct taping commences. Give students about 5 minutes to do their best job of securing their teammate to the table. Note: If you want to make it more difficult, don’t let them wrap the duct tape all the way under the table. Using strips will make it much more challenging. When they are done, stand the tables up against a wall (make sure you have people holding it so the person does fall sideways or flat on their face!). At this point, it’s a game of waiting. See which teammate stays taped the longest. Since it’s not really fun to sit and watch with nothing to do, you can play other games. You can also download a PDF of Duct Tape Trivia to use while you’re waiting to award a winner. As a general rule of thumb, wait about five minutes and then award a winner based on who has moved the least or start peeling back strips of duct tape from each team until someone falls! 1. Pre-wrap the tables in Saran Wrap. This will radically reduce your clean up since you won’t have to scrape the tape off the table. 2. Use different colors of tape to bring a little life into the game. It also works great if you have a game night and you want to differentiate the teams. 3. Use for large group gatherings or youth rallies. Do this game up front about 30 minutes before the event starts and have students stay taped up there while you play other games.